THE BAR HAS BEEN RAISED by Merit Medical with the introduction of the Merit ConcierGE Guiding Excellence Catheter. In an independent survey, approximately 40% on Interventional Cardiologists indicated that their current guiding catheter does not meet their needs for kink resistance. 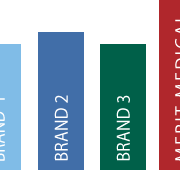 Designed in 5F, 6F, 7F, and 8F, ConcierGE is the first guiding catheter designed with a higher level of guiding excellence. Each feature of the guiding catheter is designed to give you added confidence in difficult cases by optimizing clinical benefits without compromise during coronary angioplasty. To learn more about how Merit has raised the bar for guiding catheter performance, read the ConcierGE Brochure or watch the ConcierGE Guiding Catheter product video. 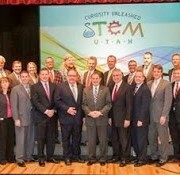 Merit Medical joined Governor Gary Herbert and other business leaders at a recent news conference to kick off the State’s “STEM Curiosity Unleashed” campaign. Merit and other Utah businesses donated $2.5 million dollars for an advertising campaign to encourage students to study and pursue careers in science, technology, engineering, and math. The future of companies like Merit Medical depends on more people having a better understanding of science, technology, engineering and mathematics. We support STEM education because the future of our country depends upon it. We are proud to participate in this effort to educate young people on the value of STEM education and the bright future that STEM careers offer. I’m pleased to announce that Merit will be offering a 0.018″ diameter Merit Laureate Hydrophilic Guide Wire worldwide effective February 3, 2014. 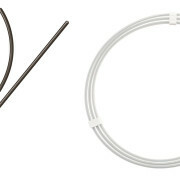 Smaller diameter guide wires are used in a number of different applications including standard arterial and venous angiography, PTA of chronic total occlusions, thrombolytic therapy, vena cava grams, and endovenous laser ablations. Available now in 0.018″, 0.025″, 0.035″, and 0.038″ diameters, 80 cm to 260 cm lengths, standard and stiff body, with angled and straight tip configurations. Click here to watch our Merit Laureate Product Demonstration Video with side- by-side comparison to the market leader and a product feature animation.